An unexpected death in the family may cost more than what you can afford and what is practical. How will cremation cost you less? What are the options and how does cost add up? According to a report by CNN, in 2016, about half of Americans prefer cremation to burial for its lower cost and convenience. If you are reading this, then, you must be considering going with cremation that is becoming popular nowadays. But if you’re not yet decided, read on to make informed choices. There is no single, direct answer to this question but knowing the process can help in determining the underlying factors that contribute to the total cost. Cremation is the process of subjecting a corpse to a temperature high enough to disintegrate organic matter. The bones turn to ashes called cremains. Initially, the body will be prepared by removing any foreign object that will cannot be cremated such as a pacemaker, implants, or jewelries. 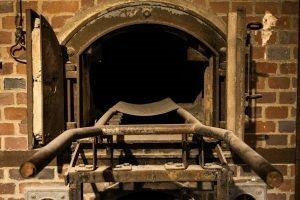 Once done, the body is placed in a cremation casket (or alternative casket) and then, slid into a cremation chamber heated to roughly 2,000 degrees Fahrenheit for about two hours. A cooling period of about half an hour will follow. At this point, only bone fragments remain which will then be further ground into ashes. The ashes will be collected, placed in an urn, and handed over to the family. 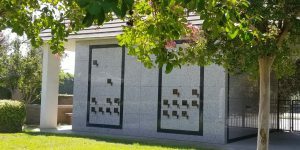 As this process is relatively quick and simple, cremation services may just cost a few hundreds to a couple of thousand dollars – the cost of the casket alone in a traditional burial. T here is also another method called water cremation. In this method, alkaline hydrolysis dissolves the body except the bones. The solution of water and potassium hydroxide is heated to reduce the dead body to bone fragments. This method is more expensive reaching the $2000- to $3000-mark due to the high cost of the chamber. But if you want to have less carbon footprint, this is the way to go. Having a traditional burial means that family needs to travel to a specific place when funeral services and the subsequent burying will take place. Since viewing services may be skipped with cremation, it makes it a more flexible option especially for those with loved ones based abroad. There is no hard rule in determining how a family pays tribute to a deceased loved one or what they will do with the ashes. But in traditional burial, families are confined to hold the funeral services in places legally allowed to hold one. Once decided, you can plan the rest of the cremation according to the following factors. Part of the flexibility that cremation gives is the way on how a deceased loved one is commemorated. In cremation, there are no strict rules on how a memorial service (or a celebration of life) is conducted or if it is even conducted at all. The actual cost of cremation as of 2019 is less than $500. Hence, direct cremation, one without memorial service, is the cheapest option and amounts to only about a thousand dollars in total. In addition to the actual cremation, direct cremation costs cover the collection of the body, its transfer, preparation and other services such as processing of the death certificate and other paperwork. Even when direct cremation might be the most economical option, there are others who choose to still hold memorial services. This factors in the religious and cultural beliefs of the deceased and his family. Hence, while cremation is becoming more common in many places, a huge fraction of the world’s population still relies on a traditional burial. Knowing when and if a memorial service will take place will considerably affect your budget. Some choose to hold a funeral service before the cremation, while others choose to hold a memorial service after the cremation. If you choose to cremate first, you can save on the costs of embalming. Embalming is the practice of delaying the composition of a dead body by replacing the blood with chemicals. If you choose cremation, you can delay embalming up to 48 hours. But in traditional burial, it must take place within 24 hours and will typically set you back by $200 to $800. If your family decides quickly enough, then you can save up on this. Make sure to communicate your decision to the funeral home right away. If you choose to hold a funeral service prior to the cremation, consider the styling and casket costs, too. Opting for funeral services requires styling which includes cleaning, dressing and applying makeup on the dead body. These cost under $500. Caskets contribute significantly to the traditional burial costs. Simple designs may amount to a several hundreds of dollars, but the extravagant ones can easily reach $20,000. With cremation, there are cheaper alternatives. Light materials like wood and cardboard that burn easily make up cremation caskets. For viewing purposes, there are caskets that are for rent. These caskets are like the ones used in traditional burial but inside, the alternative casket containing the body is inserted. Apart from the memorial or funeral service, some families also choose to watch the actual cremation in the crematorium. Take note though that this sometimes entails additional charges. Whether to hold a private or public viewing is up to the family. Whatever the family decides on, it is best to note that the use of the facilities do not come free and this adds up to the cost. 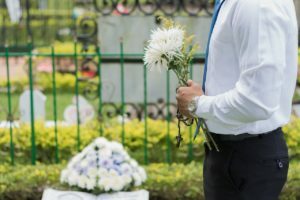 Private viewing or memorial service, or one that includes only immediate family and close friends, would generally cost less than a wake will. Reception and catering services are a bit pricey, too. Just take note that some states prohibit hosting receptions in funerals. It is best to check what regulations apply in your area. It is best to check other options aside from the first offer. Though regulated under the Federal Trade Commission’s Funeral Rule, prices of services still vary depending on your location and across funeral homes. Make sure to ask for the general price list and an itemized quotation. Check with the funeral home if they conduct their own crematory services. If not, the transfer to another crematorium may incur additional charges and make sure to ask them to include it in the quotation. Ask first for the quotation for a direct cremation to establish a fair comparison between providers. Select the add-on’s later and if possible, choose bundled services as they come cheaper. You can also deal directly with crematoriums and ask if they can also render other services that funeral homes do such as processing death certificates. Some funeral homes also provide financing services but with interest, of course. Choose which would give you the best deal. After the cremation, they will place the ashes in a temporary urn which is enough if you decide to scatter the ashes afterwards. The family can decide to keep the ashes in an urn of their choice. Urns may cost from $50 to $1,000 depending on the type. 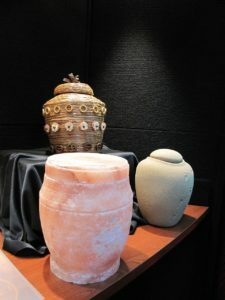 Families use these urns to keep the ashes in their homes or placed in a mausoleum or cremation niche. There are also people who want to take the ashes with them wherever they go. Some families divide the cremains among themselves. Some turn the ashes into artworks or keepsakes like jewelries. Burying the urn in a cemetery garden requires smaller hence cheaper burial plots with a headstone or marker. If you want to bury the cremains, you can consider burying in your own property. It is legal and free after all. There are also urns that are biodegradable, and some even turn into a tree. These are for those who want to lessen their environmental impact. 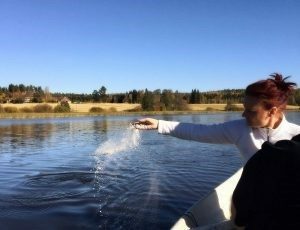 Scattering the cremains at sea necessitates that you travel by boat or plane to at least three nautical miles away from the shore – the distance allowed by the Environmental Protection Agency (EPA). If you decide to do this, the actual scattering of the ashes is free but be ready to spend for the trip. Take note that the EPA prohibits placing of pet cremains and non-biodegradable items in the ocean. For inland bodies of water, research on the rules prevailing in your state. Some choose to scatter the ashes at a place their deceased loved one adores like a favorite national park. In that case, get the necessary approval from the park ranger and know the applicable rules. In life, death is certain. No one can really know how, when, where, and why a person will leave this world. Definitely, it will come at a time that we can never really prepare emotionally…but, financially, we can. Proper planning is the key – whether it be for your own passing or that of a loved one. Whether we choose cremation services or traditional burial, one need not break a bank if we are aware of the factors that affect the cost.